Review: In a development as predictable as night following day, “This Is Us”—network TV’s defining critical and commercial hit—has its first high-profile imitator. 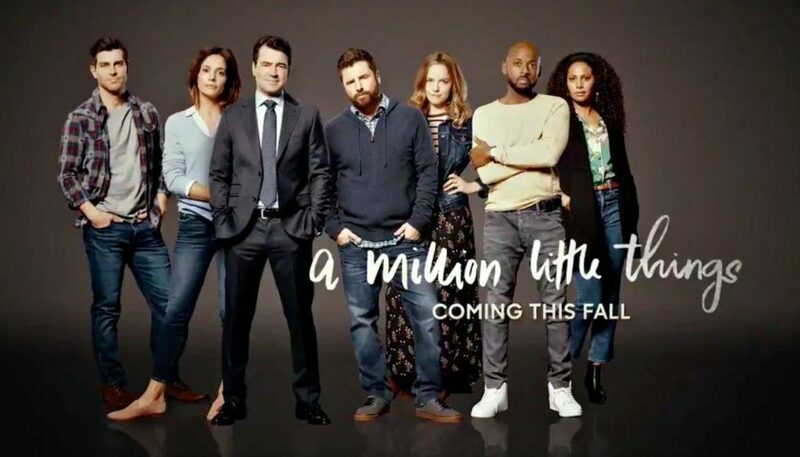 And yet ABC’s “A Million Little Things,” a show that borrows “This Is Us’s” mystery-box conceit and open-wound emotionality, moves the action from an immediate family to a group of friends. That difference makes for a pilot that’s both intriguing, as we see the bits of deception underpinning an all-male clique, and frustrating, as it often strains credulity as well as certain boundaries of taste. To wit: Like “This Is Us,” “A Million Little Things” has a death at its center, and is consumed with both the mechanics of grief and the mystery around the incident. Unlike its predecessor, though, “Things’s” central loss happens in the show’s present, right at the start, and its characters are as in the dark as we are. Ron Livingston’s Jon, a wealthy and well-loved businessman, dies by suicide in the pilot’s early moments. The question the show seeks to answer is why someone who was such an effective pillar of support for his friends, all of whom seem less together than he does, made such an irrevocable choice. The problem is that the question is not so easily revealed. After a summer in which high-profile figures like Anthony Bourdain and Kate Spade—who, as far as the public understood, lived lives of success and advantage—died by suicide, the audience has likely come to understand just how complicated private lives can be. Moments in the pilot hint that we’ll eventually come to learn the thing that “pushed Jon over the edge.” For the sake of not glamorizing a public-health concern, I sincerely hope we don’t. On “This Is Us,” the characters, related to one another, are stuck together; for someone everyone in his life saw as a fount of wisdom, Jon is more than a bit blustery. That the friends all hid secrets from one another feels right, a promising way to depict the imperfect institution of friendship. But the fact that each friend has one big problem (suicidal depression, cancer in remission, anomie in married life) feels schematic, a listy way to run through all that happens in life. The central quartet became friends when they were stuck in an elevator and decided to get Boston Bruins season tickets together; with the door finally pried open, one can easily imagine oneself running in the other direction. In his eulogy for his friend, David Giuntoli’s Eddie declares, “Jon, you say everything happens for a reason. I can’t find a reason for this.” The impulse to stop trying to find a reason is one the show ought to follow; a network show working through grief without turning it into a spectacle of speculation, perhaps a smaller-scale, earthbound “The Leftovers.” Yet the pilot of “A Million Little Things” hits predictable beats, giving every character a problem and setting them up for a quest to crack Jon’s case. You may feel brute-forced bludgeoned into shedding a tear by the extended funeral scene or by the characters’ deep wells of pain. But the heavy-handed mystery elements and the studied way each character is given their capital-P Problem will leave many viewers cold. This is not yet us. It’s still just them.